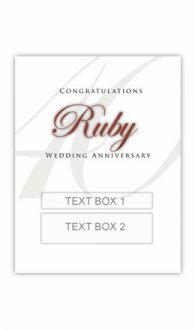 At Birthday Wine Gifts we have a wide range of personalised Anniversary gifts you can get for your partner, parents or friends. 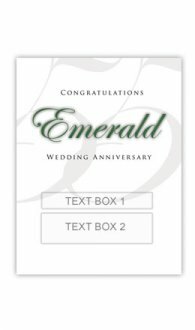 Our popular personalised Champagne is a great gift as it can be personalised with the couples names and a photo of the couple together. Choose a photo of the couple during a really special and memorable time of their lives such as a holiday together, their wedding day or together as a family. These are unusual gifts ideas and you can choose the anniversary gifts by year. Personalise with a photo of the couple on their wedding day. You will find some of our most popular label designs below. The traditional gift for 1st anniversary is paper. We have some great anniversary gifts for this special anniversary. Cotton is the traditional gift for the 2nd wedding anniversary. Find some great wine gifts for the 2nd anniversary. Celebrating the 10th anniversary. We have some unique gifts for the 10th wedding anniversary. 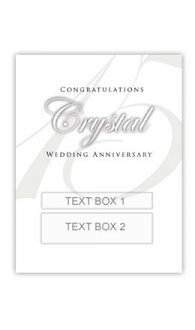 Personalise the Crystal anniversary gift with a unique gift of personalised wine. Put the photo of the couple on their wedding day 15 years ago. China is the traditional gift for 20th Anniversary. Innovative gifts for this wedding anniversary. 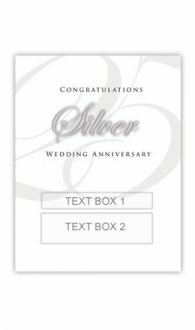 Wedding anniversaries are always special, especially if it is a milestone wedding anniversary. Whether it is your own anniversary or that of your loved ones, finding the perfect wedding anniversary gifts can really be daunting. 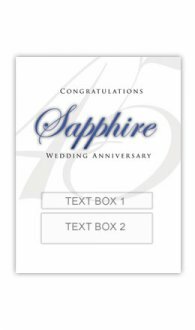 Now that Birthday Wine Gifts is here, you don't have to feel so much pressure, because we have an amazing set of wedding anniversary gifts designed exclusively for milestone anniversaries. 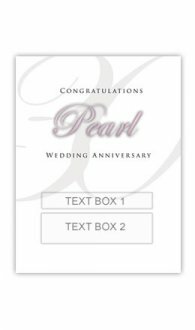 Just choose one and personalise it with a lovely message and you will be left with a highly memorable anniversary gift. Is your anniversary fast approaching? Are your parents celebrating a milestone anniversary? Regardless of whose anniversary it is, it is always a special occasion that deserves a celebration, and no celebration is complete without an extraordinary gift. If you are looking for traditional anniversary gifts for one such special day, you are at the right place. Go through our list of amazing anniversary gifts, especially our personalised champagen, choose one that appeals to you the most, and have it personalised to make it one-of-a-kind. This would be the most thoughtful gift the person will every receive. For a couple to be married for fifty long years is definitely an achievement in every possible way. Having been through highs and lows in life, together, and still being so much in love is something highly inspiring for those around. 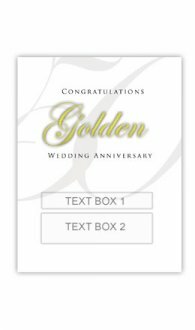 If you know one such couple who are about to celebrate their golden wedding anniversary, Birthday Wine Gifts is the right place to get them perfect golden wedding anniversary gifts. Say cheers to their achievement with a personalised bottle of wine customised exclusively for them to make their special day more amazing and memorable. So, you've successfully completed the first year of your wedding with the love of your life. We are sure there would be tons of beautiful and unforgettable memories to take along for the rest of your life. 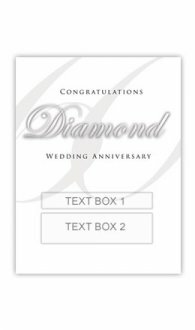 How about create another cherishing memory right on the day of your 1st anniversary? Choose from the wide range of 1st anniversary gifts from Birthday Wine Gifts and make the day a lot more special for your soulmate. This is your chance to make your partner fall in love with you all over again!